Jaeger-LeCoultre updates cult timepiece Memovox Polaris for contemporary use. Ideas of old can inspire anew if one knows where to look. At Jaeger-LeCoultre, the archives run deep and dust never has the chance to settle. The watchmaker most recently delved through its 1960s annals to select the rare and vintage 1968 Memovox Polaris — a diver that also featured a mechanical alarm complication — as the springboard for its 2018 collection. A series of timepieces emerged, for the original Memovox is an ideal template. 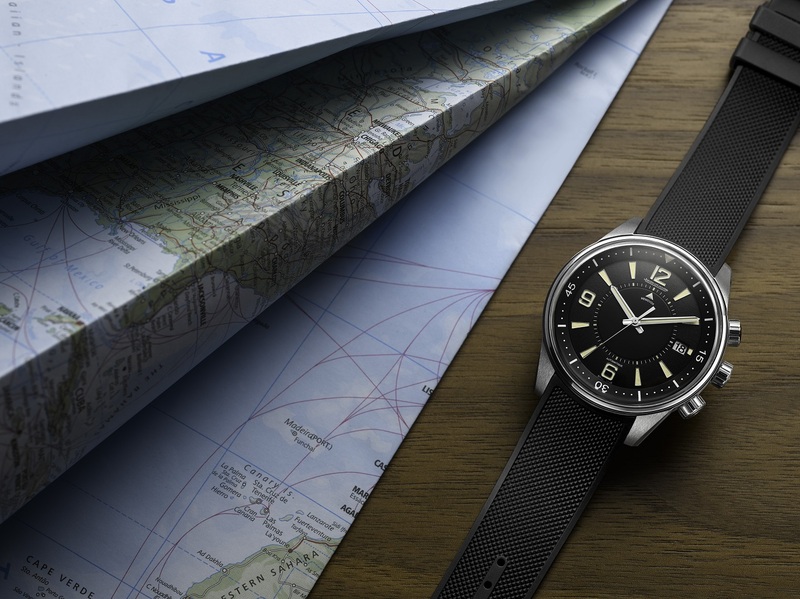 Headlining them is naturally an eponymous revival: the Jaeger-LeCoultre Polaris Memovox celebrates its namesake’s 50th anniversary by resurrecting the iconic three-crown design on the right of the 42mm stainless steel case. The top crown sets the signature alarm, the middle controls the inner rotating bezel that identifies it as a diver’s watch, and the third sets the time. Vintage cues on the black dial, such as the SuperLuminova-filled vanilla trapezoidal indices, Arabic numerals and alarm indicator expressed as a triangle in the dial centre recalls its predecessor. Operating the striking mechanism with a gong, as well as the central seconds and instant-jump date-change system peeking from a window at 3 o’clock is the in-house automatic calibre 956, a direct descendant of the first automatic alarm watch movement created by the brand in the 1950s. It boasts a power reserve of 44 hours and water resistance to 200m. The commemorative timepiece is linked from lug to lug with a new rubber strap and is limited to 1,000 pieces. Even more exclusive is the Polaris Geographic WT, which redesigned the curves of the original Memovox to better house the complication sought after by cosmopolitan wearers today. The geographic function informs the World Time handle of this timepiece, with 24 time zones clearly visible on the flange and controlled by the crown at 10 o’clock. A white asterisk caters to one-hour differences imposed by daylight saving time in relevant cities. An enigmatic blue-turning-black dial marks the alliance of the two colours firmly associated with the Polaris family. Smoky blue on the 42mm dial gives this model an impression of depth, enhanced by the trifecta of finishing: an opaline base for the city disk; sunray effects on the calendar counter at 2 o’clock, second time zone in the south and power reserve at 10 o’clock; and grained finishing on the case-back. The day/night disk identifies sunlight hours in local city, underscored by a small sun indicating daytime through black numerals on a white section and a moon with the inverse readings depicting night. 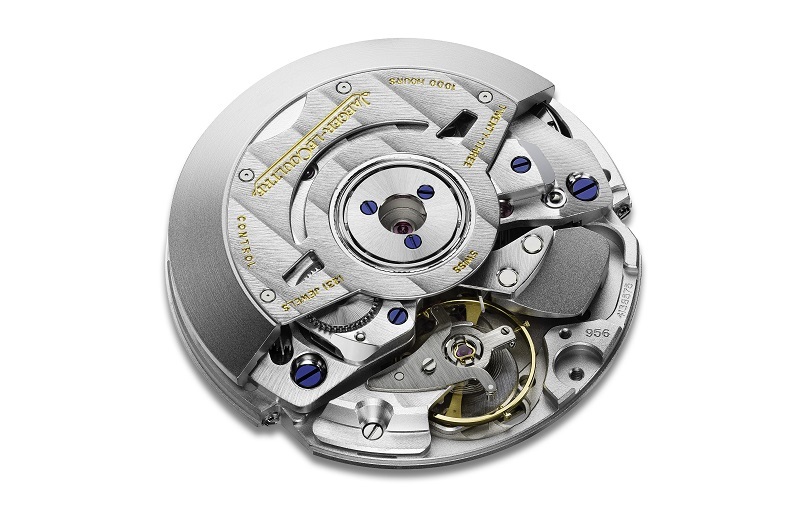 Orchestrating these is the self-winding in-house calibre 936A/1. Shorter lugs and a slimmer bezel throw the spotlight entirely on the display, maintaining readability within a contemporary, adventurous aesthetic. 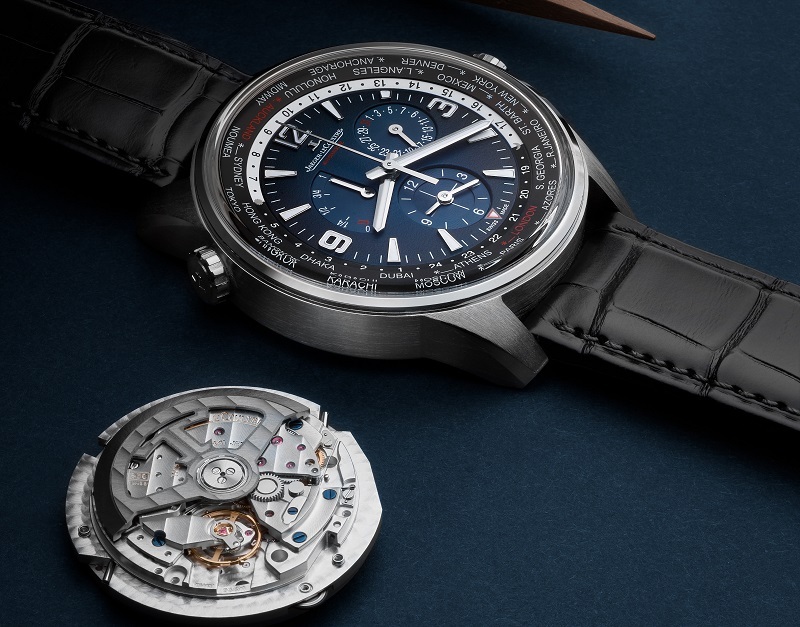 The Polaris Geographic WT is limited to a mere 250 pieces and is available solely at Jaeger-LeCoultre boutiques. For more information on the models or the Polaris collection, click here.